Yesterday, the MESSENGER spacecraft flew close by Mercury in preparation for a 2011 orbital insertion. On August 3, 2004, NASA launched the MErcury Surface, Space ENvironment, GEochemistry and Ranging (MESSENGER) experiment from the Cape Canaveral facility on a 7-year mission to study the Sun's closest companion. 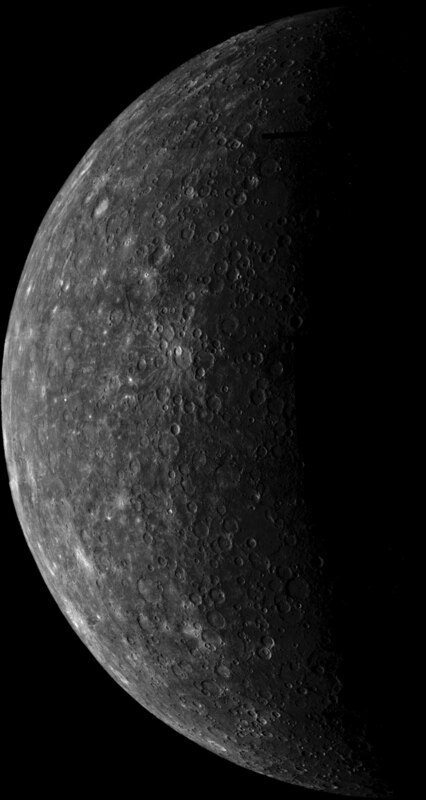 On January 14, 2008, MESSENGER performed its first flyby of Mercury, coming within 200 kilometers of the surface. The spacecraft executed another close order flyby, once more coming within 200 kilometers of the planet on October 6, 2008. Its third flyby maneuver on September 29, 2009, provided MESSENGER with its last gravity assist, essential for a trajectory that will allow it to be the first satellite of Mercury on March 18, 2011. Ordinarily, it would have only taken a few weeks to send the MESSENGER mission directly to Mercury. In order to save fuel, thereby saving launch weight, it had to follow a path that included a flyby of Earth, two flybys of Venus, and this last of three flybys past Mercury. Mercury is a relatively small planet, 4878 kilometers in diameter. Jupiter's moon Ganymede and Saturn's moon Titan are both larger. Mercury resides at a mean distance of 57,910,000 kilometers from the Sun, so a year on Mercury lasts a mere 88 days. Since it rotates once every 58.6 days, the planet completes three rotations for every two orbits. Temperatures on Mercury can reach a blazing 427° Celsius at noon. Mercury receives an average of nine times more radiation at its surface than the Earth, is bathed in searing heat, and is bombarded by charged particles from the Sun, so how can it possess a thin but detectable atmosphere? This question is a conundrum for planetary scientists—a planet with such a weak gravity field (only 38% of Earth), and under such intense solar irradiation, should not retain even the smallest remnant of an atmosphere. The answer is that Mercury is probably a relatively young planet, perhaps as little as 10,000 years old, or younger. If that is the case, then the presence of an atmosphere is not surprising. During the last MESSENGER flyby of Mercury, electromagnetic flux tubes were found, connecting the planet's weak magnetic field directly to the Sun with gigantic filaments of electric current. 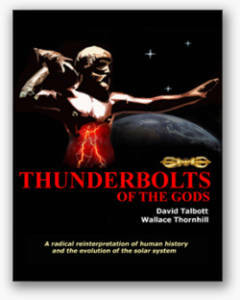 In April of 2009, NASA’s THEMIS satellites found similar "electrical tornadoes" above the Earth at the interface between the magnetosphere and the ionic wind from the Sun. Known as Birkeland currents, they are familiar to plasma physicists and Electric Universe proponents. It is those helical electrical transmission lines that confine plasma and allow electric currents to flow over great distances. The presence of electric currents flowing like giant tornadoes into Mercury hint at a time when those currents might have been far more powerful. As mentioned in a Previous Picture of the Day, there might have been a period in Mercury's history when those helical currents were energized to the glow mode or the arc mode stage. If that happened, then the surface of Mercury would have been the scene of gigantic electric discharges blasting out craters, cutting vast chasms, and rearranging the atomic structure of the planet's crust over large areas. Multiple basins found on Mercury, just as on several other celestial bodies, are probably formed when electricity erodes material from the surface where the arcs touch down. The pits or craters left by electric arcs are usually circular because the electromagnetic forces constrain them to strike at right angles to the surface. If an electric arc is composed of two filaments rotating around a common center, the surface will be excavated by a plasma "drill bit," leaving steep sides and a “pinched up” rim of debris. 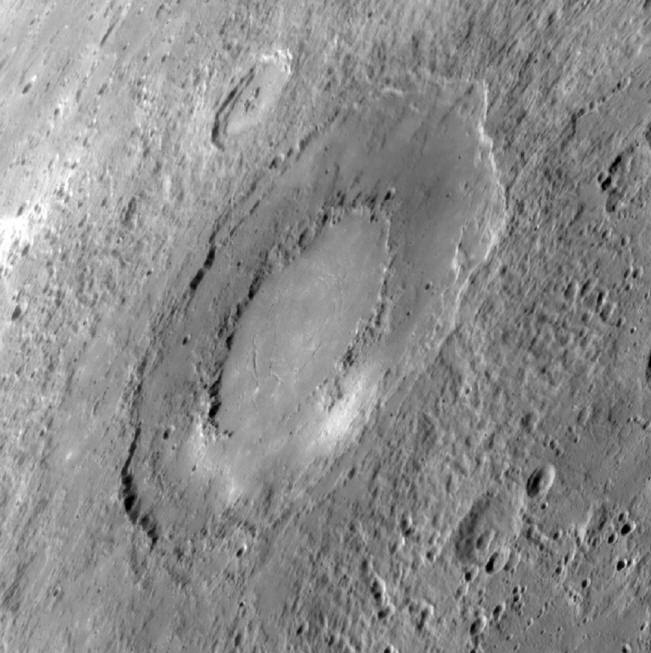 If several filaments are involved, the plasma beams will often cut one crater within another, sometimes with one or more smaller craters on the rims. Structures like the unnamed multi-ringed basin shown at the top of the page, as well as the altered materials in the craters, could be part of what has been left behind after the increased electrical energy through Mercury's structure dissipated. Another example of possible electric discharge activity on the surface of Mercury is a crater 110 kilometers in diameter just seen by MESSENGER, with an unusual curled trench carved into its shallow, bowl-shaped floor. 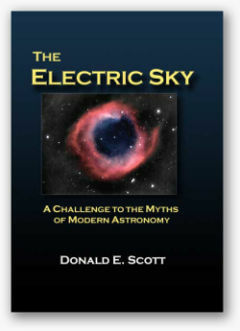 How does the Electric Universe hypothesis account for the volumes of information returned by missions such as MESSENGER? 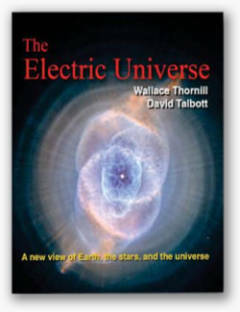 The Electric Universe provides simple yet surprising answers to that question in such publications as, "Astronomical Myths of Mercury and the Sun," by Wal Thornhill, and several previous Picture of the Day articles. When MESSENGER enters orbit around Mercury, it is likely that additional observations will confirm our hypothesis.